The other day she had a friend over and they coloured some pages out of our new Horse Colouring Book – thought I’d share one of Hannah’s completed pages with ya. 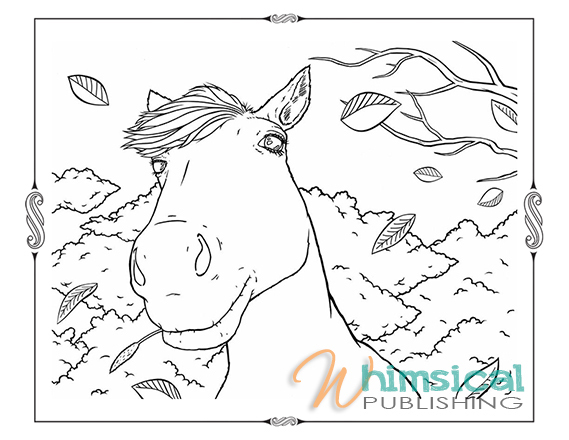 If you haven’t yet checked out our horse and dragon colouring books – HAVE A PEEK BY CLICKING HERE! From the brute strength of the Draft horse to the speed and agility of the Arabian, horses have plowed fields, pulled carriages and ridden faithfully into battle for humans throughout the centuries. In addition to contributing to human success, horses have an intriguing role in mythology, represented as unicorn, Pegasus and centaur. That’s why Micheline and I have chosen the horse (and it’s mystical cousins) as a follow-up to our mystical dragons colouring book. Designed to delight and inspire, this book is also illustrated by Micheline Ryckman and newcomer Hayden Wolf and will include a step-by-step drawing guide along with a collection of stunning, ready-to-colour drawings. 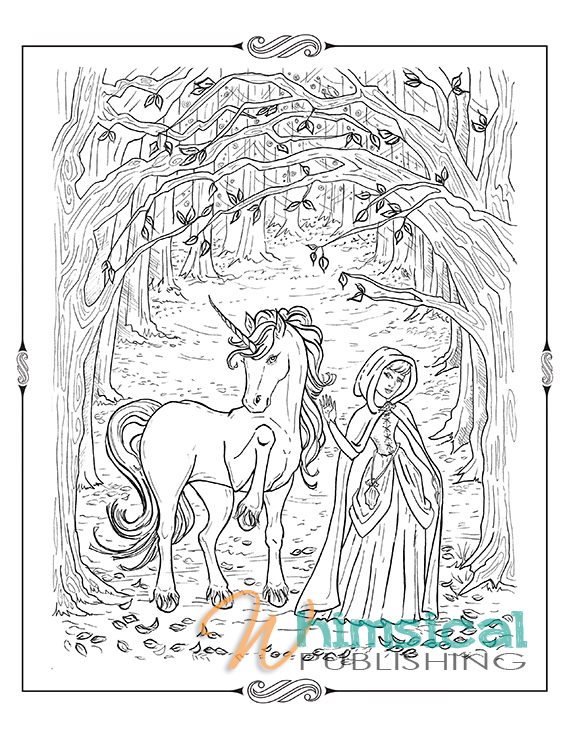 Enjoy the “sneak peek “ inside our new colouring book and be sure to check back for details of how you can win a copy of it, due out this fall.